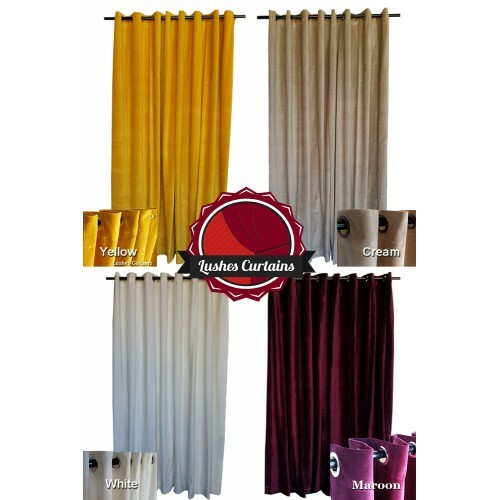 This is a Luxuries Velvet Curtain made out of 100% Cotton Velvet Material which weighs 16oz per yard and measures exactly the size Chosen (The size is the exact size of the panel when fully extended/stretched out). 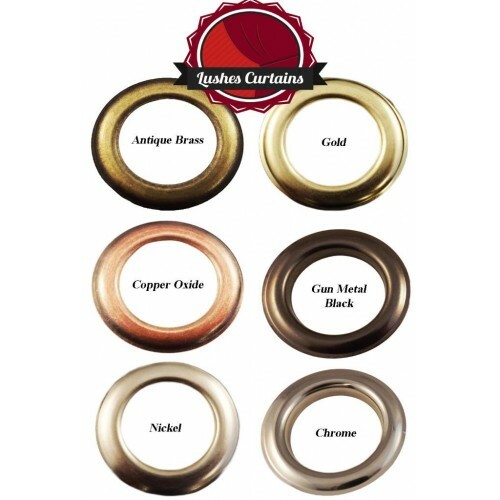 It comes with Metal 1 9/16" Inner Diameter Grommet Eyelets, so it can be easily hung by any 1/2” - 1 1/4” thick Rod or Pole. 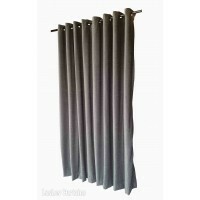 The Metal Grommets come 8" apart from each other. 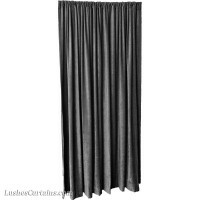 To get the full Pleat look you must get double to two-and-a-half-times the width of what you are trying to cover. 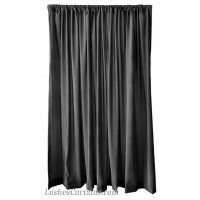 For Example: If you plan in covering a 10 ft. wide space, you must get a Panel that measures 20 ft. wide, so the Panel can have a nice full Pleat. 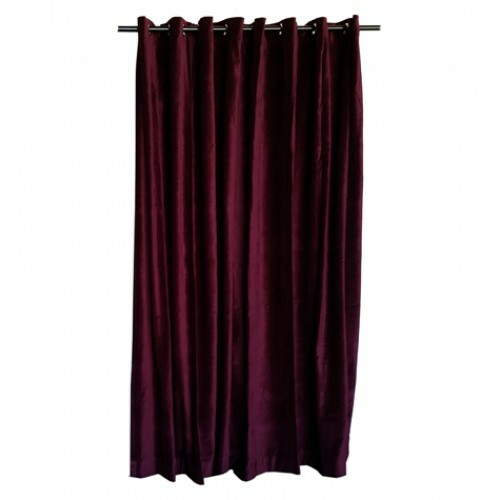 This Velvet Panel does Not come with line on the back nor does it have Velvet on both sides. 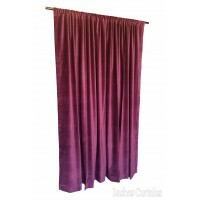 However if you wish to add line or get the panel double sided Velvet (with two fronts, Velvet on both sides) please contact us and we’ll be more than happy to send you a free quote with the option you would like to go with. 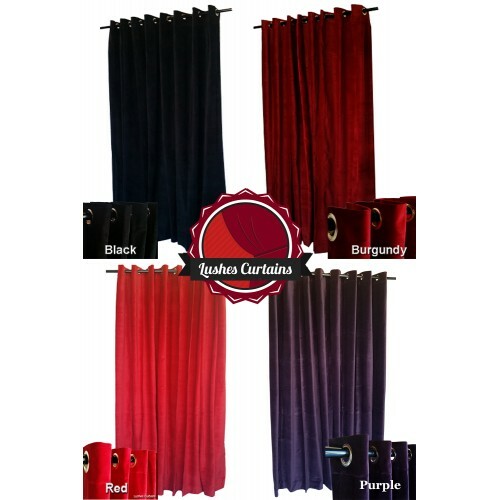 You Can View our Acoustic Sound Test Results for Our 100% Cotton Velvet Fabric by Clicking Here. 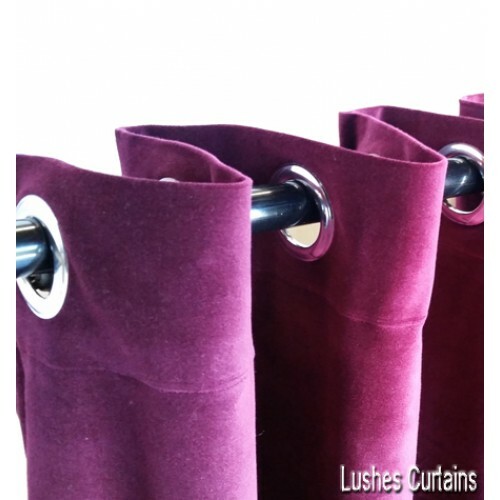 We Can Make Any Custom Size & Quantity You're Looking For! 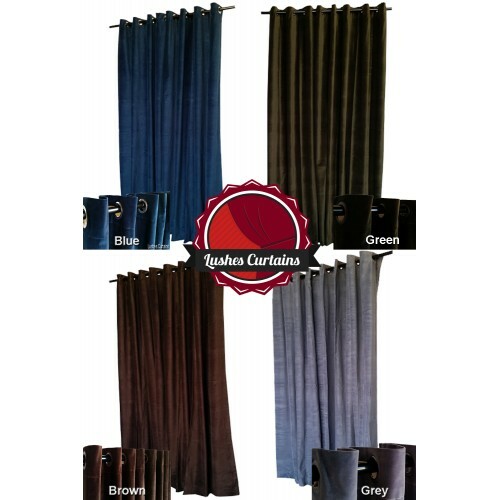 We're Your Direct Manufacture, No body Beats Our Price! 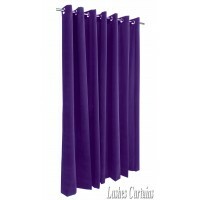 The Curtain you will be receiving will be exactly or almost exactly like the one shown on main pictures. 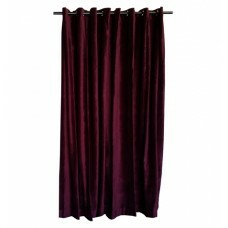 The picture is a stock picture we use for all our 100% Cotton Velvet Curtains with Grommet eyelets we sell. The only thing that's different is the measurements.